Have you ever used archaeology and object handling as a way to hook the interest of children in to primary history? Are you searching for creative ways to compare and contrast ancient civilizations? Would you like to extend your subject knowledge? Want inspiration for building in fascinating local history seamlessly in to your Key Stage Two? Then look no further! This exhibition coincided with the continued excavation by Cambridge Archaeological Unit (based at Cambridge University) of a Bronze Age site near Peterborough at Must Farm. They uncovered remarkable artefacts buried in the mud of a riverbank into which a burning roundhouse built on stilts had collapsed between 1000 and 800 BC (from the same millennium as the sunken Egyptian cities). The mud preserved organic material that would otherwise have rotted such as log boats, food remnants and textiles. The site has been dubbed “Britain's Pompeii”. In 2017 Hampton Vale Primary School in Peterborough received Heritage Lottery Funding for Year 6 pupils to complete a project comparing the Egyptian and Must Farm sites. how local history can be built in to planning that combines national and international history. Sound interesting? 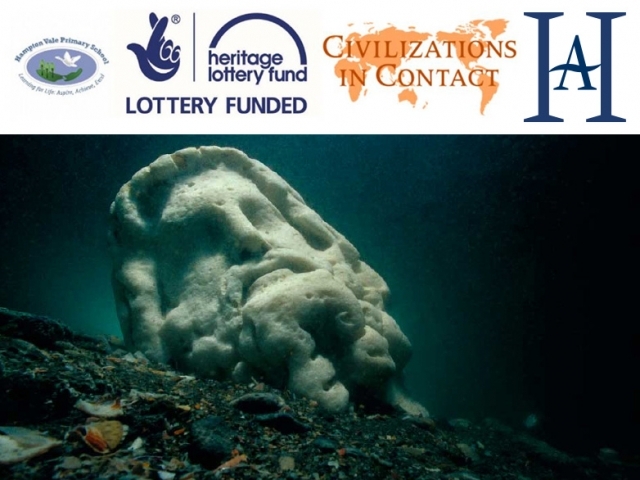 If so and you want to see the downloadable plans, package of resources, film clips and learn about the historical background then read on (via Sunken Settlements project outcomes link below).